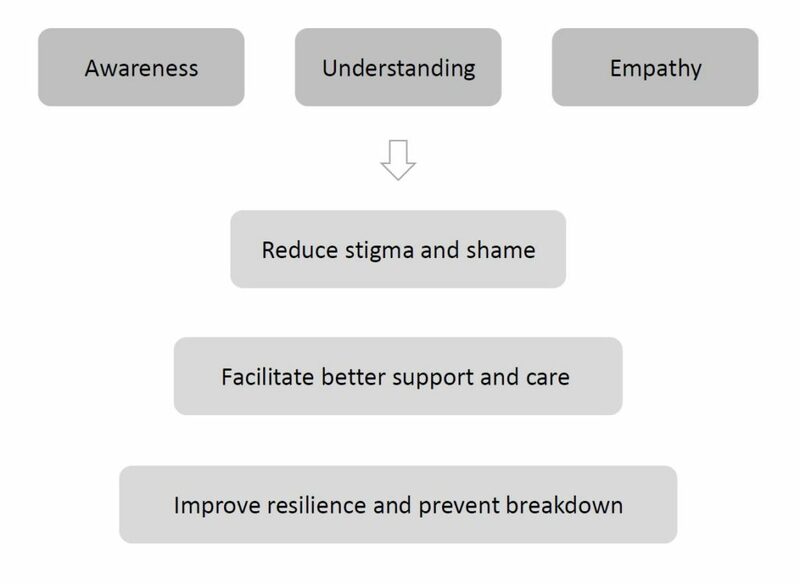 During our research we found that talking about our feelings and problems is the first and most crucial step in recovering and building resilience. But on an individual level, people cannot be forced to take this step. Not sharing is a justified choice, as it makes us vulnerable and people often don’t know how to react and help. The primary reason for this is a societal attitude of silence. Bad feelings are associated with shame and there is a general lack of information as part of common knowledge. Based on these insights, we decided to approach this project as a public awareness campaign and to generate conversation on the topic of mental health. The topic needs to be made more present and approachable. It should act as the first step in a chain of changes to the way we think and act about mental health issues.